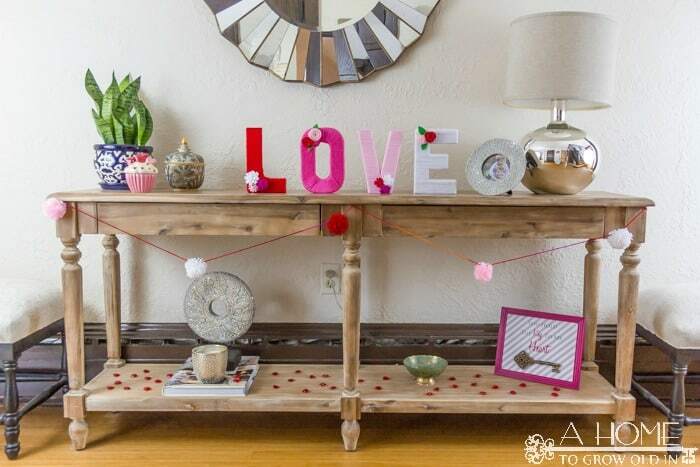 Check out these 3 easy DIY Valentine’s Day projects that will liven up your entryway or mantle and won’t break your budget. Since we mostly stayed home this weekend waiting to see what the weather was going to bring us, I had some time to put together a few Valentine’s decorations. 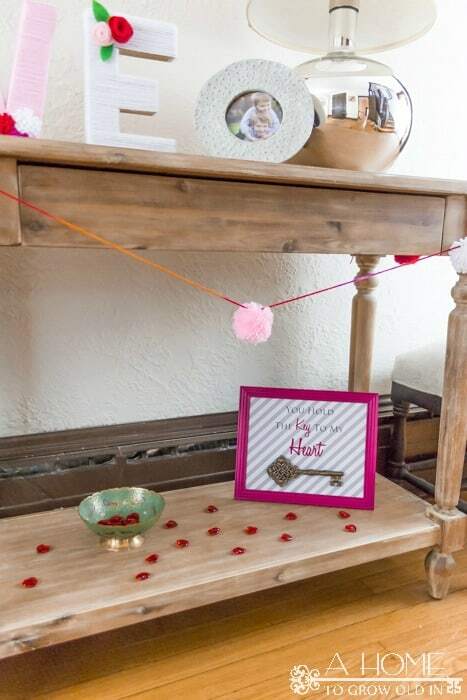 Just past our front door is this really long foyer table (it goes on sale from time to time, and when it does, it’s such a great deal), and it’s perfect for decorating. I don’t usually do much for Valentine’s Day, but this year I decided to make a few new decorations. 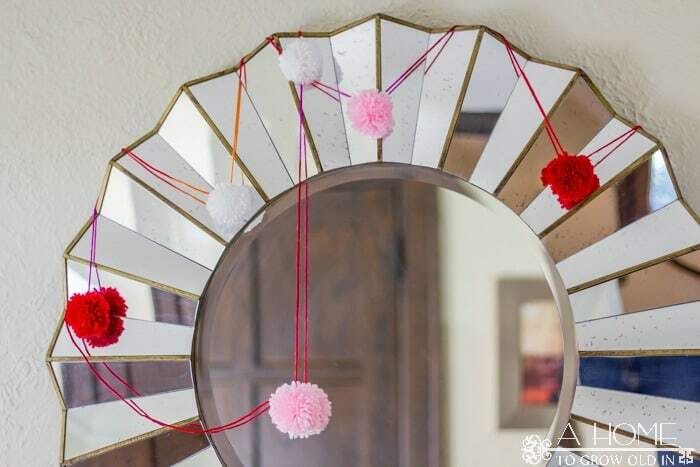 I started making pom poms at Christmas to put on top of presents instead of a bow, and I have to admit it’s kind of therapeutic. I used a method similar to this to make some garland, wrapping yarn around 3 of my fingers about 75 times. Spending all that time counting as you wrap is pretty calming, and I love trimming them up with scissors at the end. It’s so easy to get carried away that I may have gone a little crazy trimming a couple of them up. 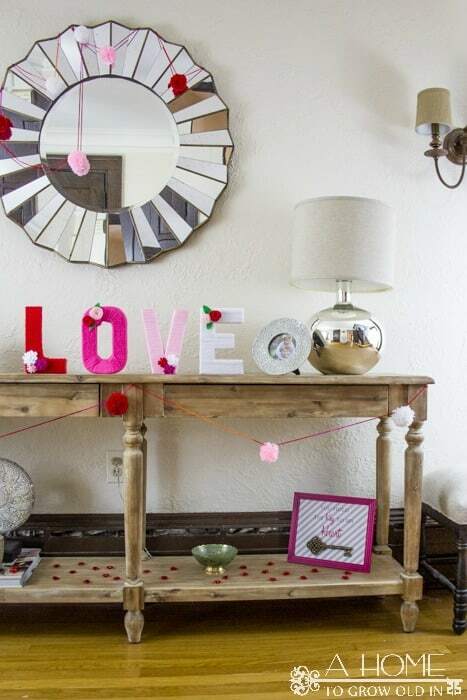 These yarn wrapped “LOVE” letters are also new this year. They were a little more time consuming to make than I expected, so I would suggest making them on a night where you can also sit and get caught up on a few tv shows. You can check out how I made these letters here. I love these felt flowers that I added to the letters! 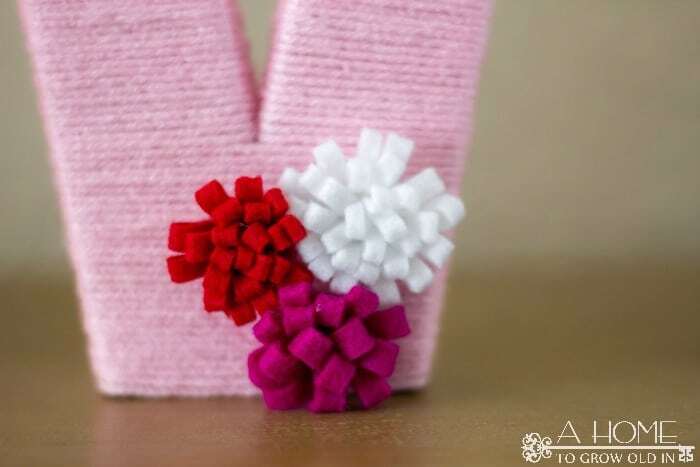 I used some very simple methods to make them, but I’m already thinking of other projects that I can use more intricate felt flowers. Also on my table is this “You Hold the Key to my Heart” sign that I made for about $3. The best part about it is that sign only took a few minutes to make. I love how the key looks a lot like my logo! 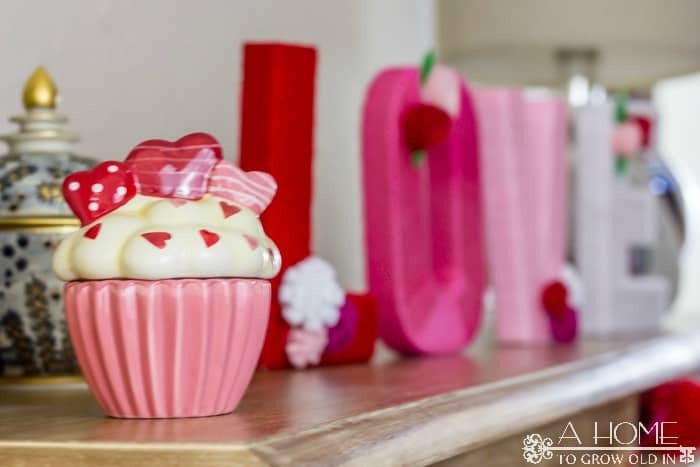 Have you done any decorating for Valentine’s Day? Like I said, we don’t normally do much, but the house feels a little naked now that all the Christmas decorations are gone. It’s a fun way to add a little color even if it is for just a short while! Thanks, Jeni! Good luck with decorating the new house!